Origins: Widespread across much of Europe, Asia and even parts of Africa. 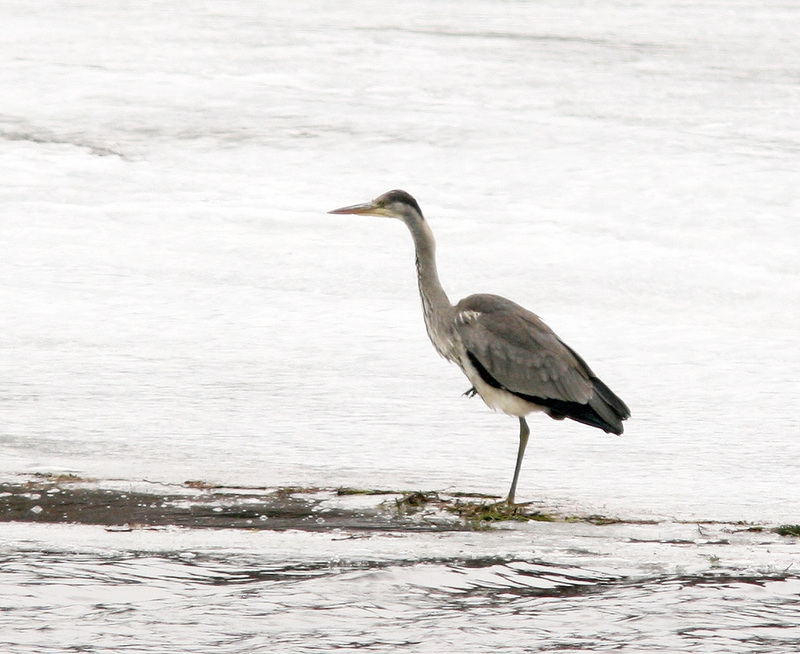 It is closely related to North America’s Great Blue Heron. The only North American records (~3) outside of Newfoundland hail from western Alaska. Record Details: Four-five records for Newfoundland. (1) The first record was a bird found moribund at Lears Cove, Placentia Bay on October 11, 1996 and later died. The specimen was not properly identified until six years later. (2) One bird was identified at Little Heart’s Ease on March 10, 2013 after being reported by a local resident as a Great Blue Heron. Subsequent information indicated it been present since as early as January and stayed until ~June 12, although often going unseen for days at a time as it likely fed and roosted elsewhere. (3) An individual first seen and photographed at Bonavista on May 7-8, 2016 was later confirmed at Comfort Cove (Notre Dame Bay) from May 16-21, 2016. (4) An individual was present at Renews from November 2-16, 2018. Possibly the same bird was later reported at Clarke’s Pine, St. Lawrence (Burin Peninsula) December 1-4, 2018. Another individual was a ship-assisted bird that arrived on a vessel in Conception Bay South on October 4 2002 (one of three that landed on the ship north of the Azores – the other two had expired prior to arrival). 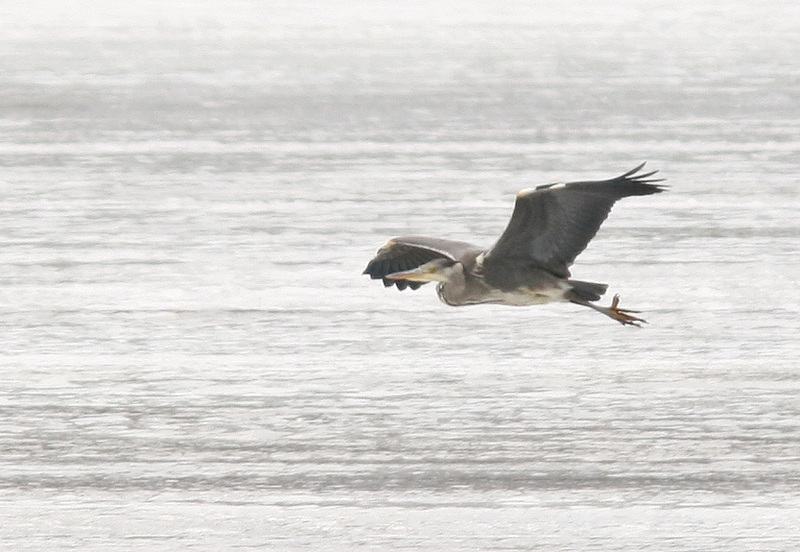 Note the white thighs and leading edge of the wing on this Gray Heron (2nd provincial record) – distinguishing it from the very similar Great Blue Heron.